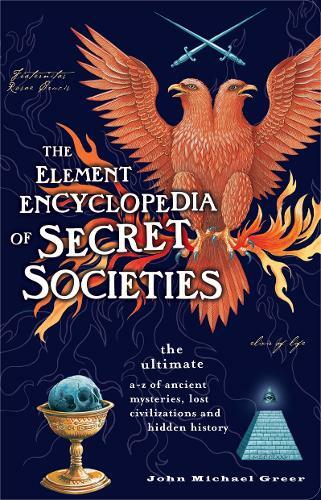 Discover everything you ever wanted to know about secret societies like the Freemasons, the historical mystery of Atlantis, why King Arthur, Leonardo da Vinci and Hitler are key figures, plus conspiracy theories, forgotten sciences and ancient wisdom. A complete and informative A to Z for one of the most popular genres to have emerged in recent times - the hidden history of the last 10,000 years. This encyclopedia answers all your questions on the more controversial subjects being debated. * Conspiracies and secret societies, e.g. Knights Templar, the Rosicrucians, the Freemasons, the Bavarian Illuminati, the Hellfire Club, the Ku Klux Klan, and the Priory of Sion. It also includes secret traditions, hidden bloodlines, extraterrestrial intervention, imminent apocalypse, and the Mayan calendar prophecies. * Ancient wisdom and forgotten sciences, e.g. alchemy, prophecy, sacred geometry, ley lines, and magic, as well as supporting evidence for advanced technologies in ancient times e.g. the mysteries of Stonehenge and the Great Pyramids. * Unsolved historical mysteries, e.g. the location of Atlantis, the early history of Christianity, the Holy Grail, the fate of the Knights Templar, the authorship of Shakespeare's plays, the causes of the French Revolution, and the occult roots of Nazism. * Key figures in hidden history - Pythagoras, Jesus of Nazareth, Leonardo da Vinci, King Arthur, Roger Bacon, John Dee, Alessandro Cagliostro, the Comte de St. Germain, Benjamin Franklin, and Adolf Hitler.